Curtsy - A Better Pet. Background - “A Better Pet” combines unforgiving rhythmic momentum with captivating melodies to evoke the self-destructive apprehension that too often plagues the insecure romantic. It's about an individual who picks fights in their first relationship because they're more comfortable with chaos than coming to terms with the idea of needing someone. The video concept revolves around freedom from insecurity--allowing yourself to enjoy life with the people you love in a no-rules territory. We want to enjoy life and have fun with no strings attached. Sharing these kinds of moments with the people we love is the greatest feeling in the world. These are nights where we feel free and have more fun than we've had in a long time. Vulgarians - Dead People Are Easier To Love. Background - Hull’s Vulgarians are now sharing the Radio 1-supported new single, ‘Dead People Are Easier To Love’. 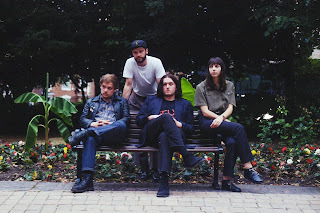 Produced by Alex Greaves (Avalanche Party, The Orielles, Bo Ningen) at The Nave, Leeds, this is the first new music from the band since their 2017 EP, ‘Almost-Instinct, Almost True’. A bullish indicator of what's to come from Vulgarians through 2019, the band will support 'Dead People Are Easier To Love' with a string of dates through autumn 2018, including a stop at The Macbeth, London on September 27 - all tour dates below. 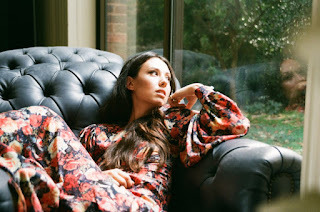 Background - Frigga the British-Norwegian artist formerly known as Sasha Siem - returns with her most cosmic and sensual single to date, ‘Flower Flower’. Conceived in her home studio in Brooklyn NYC shortly after giving birth to her son, Dylan. The song was recorded in Queens Park, London with the UK producer Danton Supple. ‘Flower Flower’ is a bold celebration of desire, the human body and the pure pleasure of being alive. With her wizard-like word-play, Frigga courageously leads us into the darkest and most challenging of truths while at the same time being radically celebratory and empowering. Using sacred objects - (crystals, runes, tuning forks etc.) - to create unique percussion sounds and beats, the album also marks Frigga’s return to her first instrument - the cello. Recorded at 432 hertz - otherwise known as ‘the Love Frequency’ - the vibrations and sounds of the record are intended to ‘awaken, restore, uplift’. 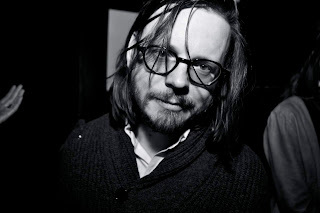 Joey Sweeney & The Neon Grease - On Monday. 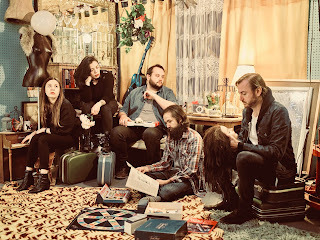 Background - The somewhat humourous new video for “On Monday” is one of the stand-out tracks from Joey Sweeney & The Neon Grease’s debut album Catholic School. The album is officially out digitally now through Burnt Toast Vinyl and The Giving Groove, with the vinyl edition to follow in late October/early November. All releases on The Giving Groove include a charitable component, and the release of Catholic School is no exception… half of all profits from album sales, both digital and physical, will go directly to Rock To The Future, a non-profit organization that provides music education for Philadelphia’s underserved youth, at no cost to them or their families. Sweeney & Co will also be celebrating the album’s release tonight in their native Philadelphia with a proper album release show at Everybody Hits.